Here it is, you've hit Gold. 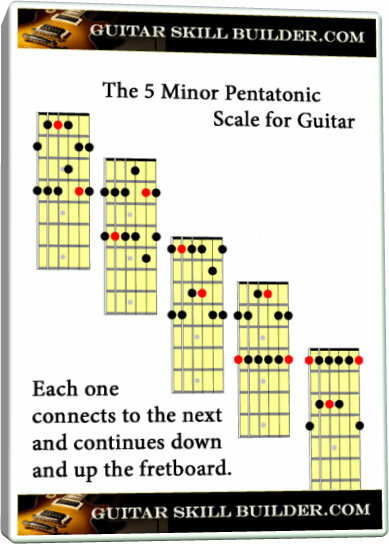 The Minor Pentatonic scale guitar patterns. 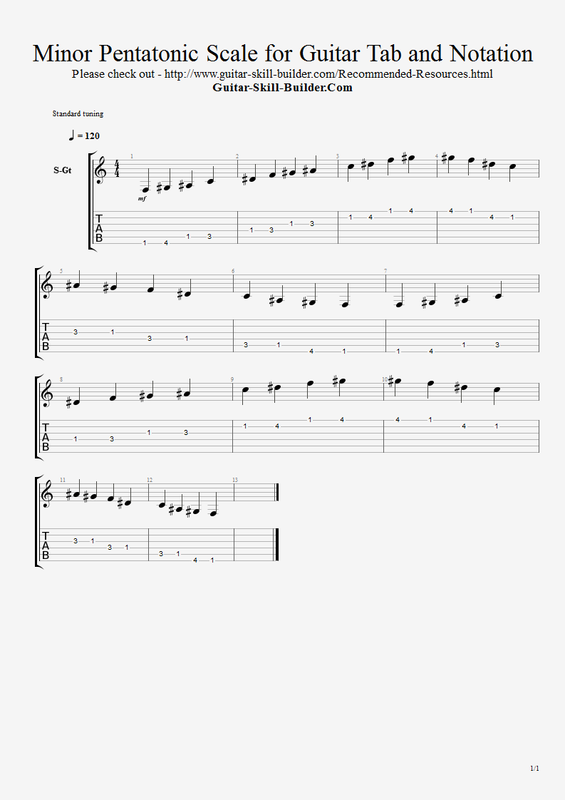 This is a Bluesy sounding scale that is used in thousands of Blues and Rock Classics. Played over a 12 bar blues, there are not many ways you can mess this up. This scale is a ton of fun for solo improvisation. This scale has 5 basic patterns. Learn them one at a time with a metronome until you have them memorized. Then get out the drum machine. The way you really get this down is to listen to blues and blues rock all the time. Have fun with this. It will come alive when you add slides, hammer ons and pull offs, bends and vibrato. Have fun with this, its used in Rock, Heavy Metal, Fusion and Jazz.